Sailors have long known that they can take little for granted on the water, but one certainty in Poole Harbour is that each day is going to be different from the one before. Tides alone will see to that. When the wind also switches from a frisky north-westerly, as it was on Monday, to a light and patchy southerly with a hint of east, as on Tuesday, plenty of gear-changing is called for by those wanting to stay on the pace. 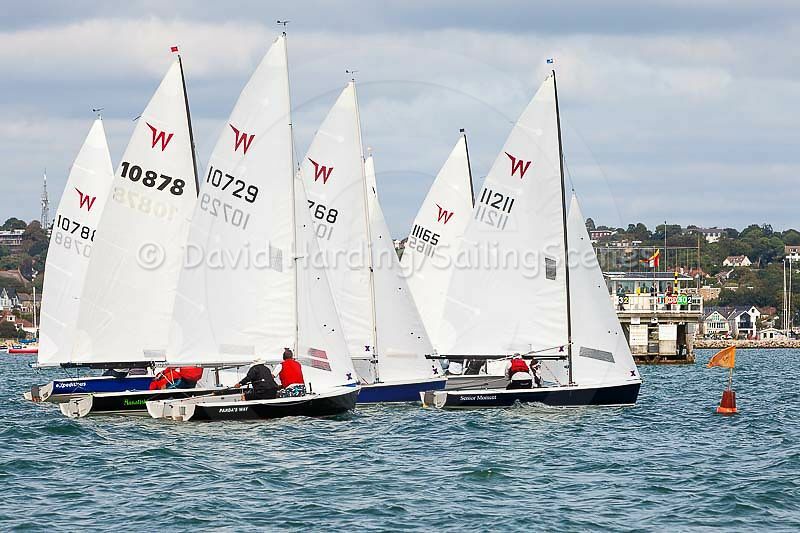 While this contrast between the first two days of racing might have accounted for some of the shuffling at the top of the Poole Week fleets, there’s now another significant factor: with most classes having sailed three or four races, one discard kicks in. For some, being able to discard a poor result sends them shooting up the results list if their other finishes are appreciably higher. 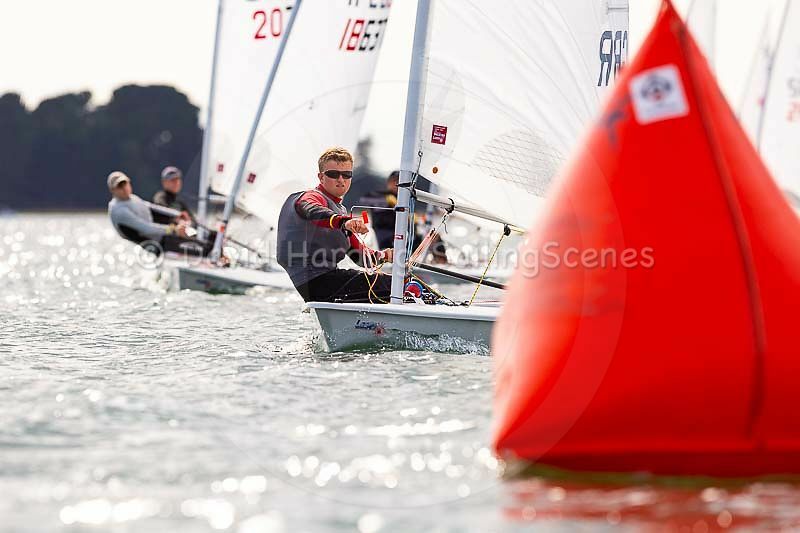 Others didn’t have a poor result to throw out, such as Ollie Sturley in the Laser Radials, who discarded a third from the first day and then posted a first and a second to move into the lead by three points. In the full-rig (standard) Lasers, Matt Reid continued his winning form from Monday in the first race and, despite being pipped by Christiaan Wakefield in the second, he retains the overall lead. Things are tighter in the Wayfarers and Dolphins, with the top two boats in each tied on points. The Wayfarers have a strong presence in Poole Week this year with 14 entries, among them the man responsible for the design of Parkstone Yacht Club’s new clubhouse, Iain Lamey. 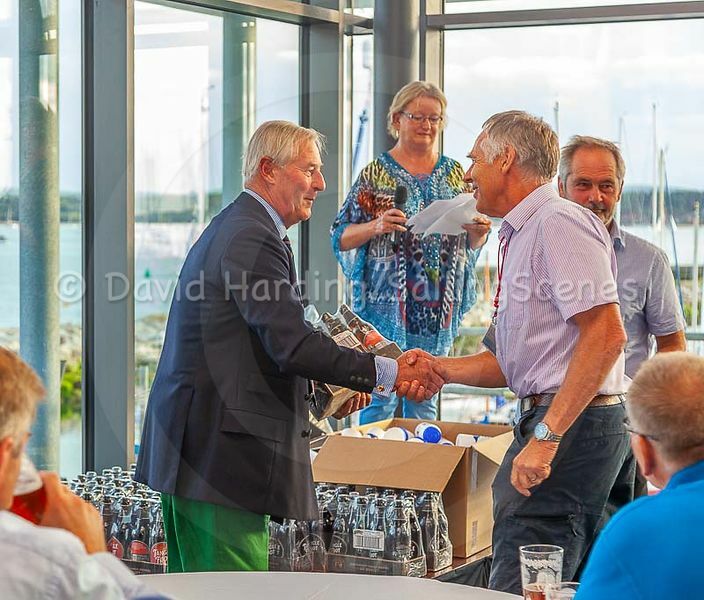 Following a break from sailing for a couple of years after selling his Flying Fifteen, Lamey joined the Wayfarers this year and used his knowledge of the harbour tides to good effect in Tuesday’s one long race around the harbour to emerge a comfortable winner. Back ashore, Mark Woodhouse of Hall & Woodhouse presented the winners of the day’s first races with eight-packs of Tangle Foot beer. Woodhouse is racing his XOD this week but thoughtfully avoided winning the first race so he didn’t have to present any Tangle Foot to himself, though he did finish fourth in the second race. One happy recipient was David Wilkins who, crewed by his wife Frances in their RS400, was a convincing first-race winner in the fast handicap fleet. Their sail number also just happened to be one of the two drawn at random for the day’s Zhik goodie bags. As ever, Poole Week is much more than just racing but everyone is looking forward to the wind and sunshine promised for Wednesday.